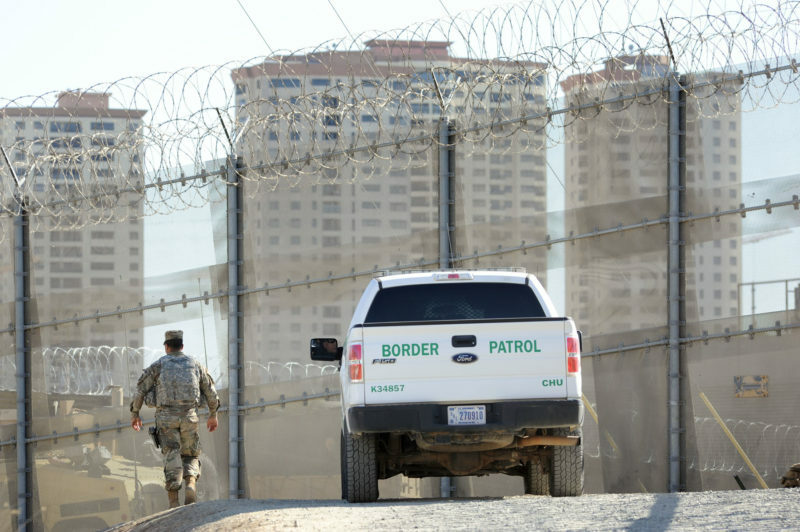 President Donald Trump is again threatening to shut down the border, the Department of Homeland Security wants to expand policy of returning migrants seeking asylum to Mexico and more in our biweekly roundup of border news. The opioid epidemic claims close to 70,000 lives per year in the United States, and criminal violence in Mexico has resulted in some 250,000 homicides and 40,000 disappeared people since 2006, according to a new white paper on how the countries can better work together on security issues. Security and public safety in both countries are interdependent, often linked to the flows of documented and undocumented people and legal and illicit goods crossing back and forth. The paper grew out of a February 2018 conference on U.S.-Mexico security issues hosted by the Center for U.S.-Mexican Studies at the University of California, San Diego — which Fernández de Castro directs — and University of San Diego’s Justice in Mexico Program. The paper suggests creating a joint U.S.-Mexico task force to combat the flows of fentanyl, and to combat “chronic irritants of bilateral security cooperation,” like corruption, weapons trafficking and money laundering. Some of the recommendations call for continued support for existing programs like the Mérida Initiative, a bilateral security agreement between Mexico and the United States signed roughly a decade ago. It has resulted in roughly $1.6 billion in assistance from the United States to Mexico to support the purchase of military equipment, training for judiciary personnel and improvement of courtroom infrastructure, military training along Mexico’s southern border and the implementation of crime prevention programs. “We want to make sure leaders know what are the useful exercises of the past few years, so they can depart from where we are without reinventing the wheel,” Fernández de Castro said. It’s worth noting that the Mérida Initiative isn’t lauded by everyone. Critics of the initiative say it has focused too heavily on the use of military force to combat organized crime, helping to create former Mexican President Felipe Calderón’s war on drugs, which led to a surge in homicide rates across the country, and has ultimately failed to improve security in Mexico. In any case, Fernández de Castro said that the experts will soon be going to Mexico to meet with Mexican officials about their recommendations. “There are very different goals being put out by the Trump administration and the López Obrador administration and we believe it’s of utmost important for policymakers to get together and better figure out what are the main goals of the U.S. and what are the main goals of Mexico,” he said. Trump is threatening to close the U.S.-Mexico border “if Mexico doesn’t immediately stop ALL illegal immigration,” he wrote on Twitter. He’s done it before, but for the first time, Vox writes, “the president is putting an actual timeline on the threat — insisting that he will shut down all or ‘large portions’ of the US-Mexico border” this week. A senior administration official said during a press call Friday that Trump’s tweet wasn’t actually a commitment to shut down the border but a warning that if the current flows of unauthorized families and children continue, the administration would close ports as a last resort, according to Vox. The administration is already pulling staff from the El Paso ports of entry to care for people who entered between ports. Closing the border with Mexico would disrupt supply chains for major U.S. automakers, trigger swift price increases for grocery shoppers and invite lawsuits against the federal government, several trade specialists and business executives told the Washington Post. Frequent border-crossers, including some who live in Tijuana and work in San Diego, told Reuters how such a move would severely disrupt their lives. After the San Ysidro Port of Entry – the busiest crossing on the border – was shut down in November for several hours, I wrote about the rarity of border closures, and why stakeholders hope they stay that way. On Monday, Department of Homeland Security Secretary Kirstjen Nielsen announced that the Trump administration will be speeding the deployment of hundreds of officers on the southern border to process the surge of migrant families entering the United States, and will dramatically expand a policy of returning migrants seeking asylum to Mexico. Nielsen said she would expand the Migration Protection Protocols program, which began along the Tijuana-San Diego border in January, to hundreds of migrants per day. Reuters found that as of March 26, only about 370 migrants had been returned to Mexico. The Union-Tribune reported that U.S. Customs and Border Protection officers were sending many asylum-seekers back to Mexico without properly screening them. Since the program only applies to asylum-seekers who turned themselves in at ports of entry, more migrants are attempting to cross the border illegally near Tijuana to request asylum and avoid being sent back to Mexico, the U-T reports.